As an agnostic revert, I found it difficult at first to understand Scriptures. My primary mistake, perhaps, when I was younger, was reading the Bible literally as I would a newspaper. I thought it was just a trivial read and, yes, once in my existence, I also thought Jesus was a madman. It never dawned on me that what I used to think as a crude book was in fact a collection of books in different genres ranging from poetry to historical accounts. My pride, unfortunately, hindered me from diving into its shelves to discover the hidden gems inside this simple, antique, yet timeless, library which many worldly folks called “foolishness”. Thus, for many years of waywardness, I missed out on the most important element of Scripture reading- God conversing with Man. Not theoretically, but actually. There are various ways by which the Church, the Bride, leads Her children to Her Spouse. An example, is through the ancient practice of Lectio Divina, or “ Divine Reading” in Latin. This practice can be traced back to as early as the third century among the likes of Origen and the early desert ascetics. St. Ambrose taught this prayer — yes, this is a prayer — to St. Augustine, with whom most Christians are familiar of as one of the great contemplatives of the early Church. In the sixth century, St. Benedict of Nursia included Lectio Divina as part of his rule; it has been practiced in monasticism since then. 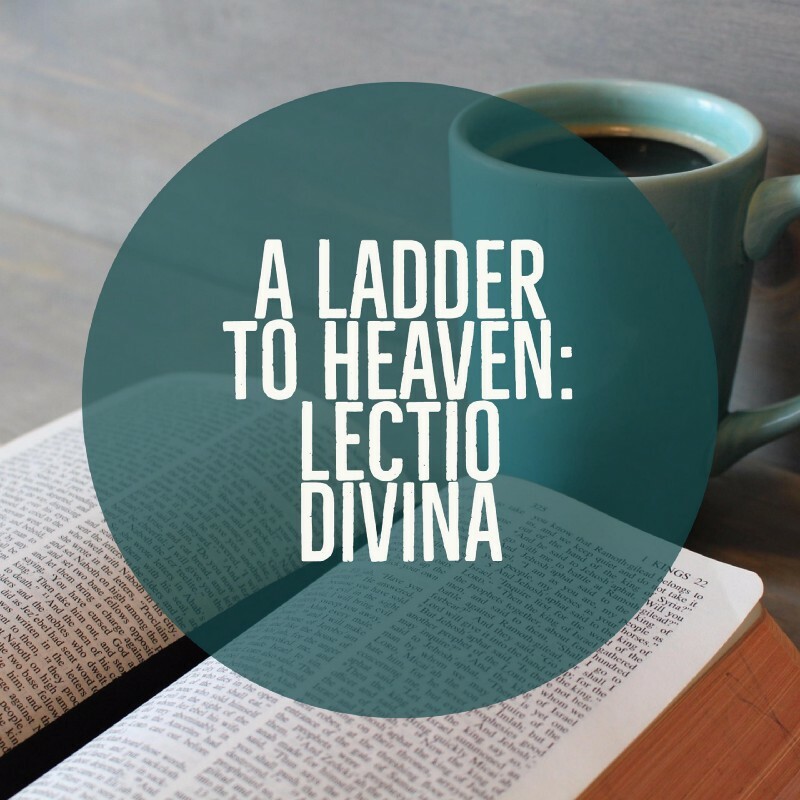 Later in the twelfth century, a Carthusian monk, Guigo II, developed it into a set of steps in his book called Scala Claustralium or the “Ladder of the Monks”. The first is Lectio, which means, “Reading”. Here, we join the Psalmist in “being still” with God (Psalm 46:10). One must first try to find a quiet place to be away from worldly distractions. If you are praying with a group, encourage silence and place yourselves in the Presence of the Lord. Next, say a prayer invoking the Holy Spirit to enlighten your mind and heart to what you are about to read. This is necessary since only the Spirit can search all things and fathom the depths of God (1 Corinthians 2:9–10). Here, you may ask the Lord to aid your blindness, deafness, lameness and muteness to His Will. While reading the passages, usually the Gospel of the Day in your missal, try to listen with the ears of your heart. If you are alone, try to read aloud to hear the Word. Pause. Ask the Lord what He wants to tell you at the moment. And in your silence, see if a word or a phrase in the readings “speak” to you. Keep that in mind. Pause again and read again. The more you read, the more clearer the word. The second step is Meditatio which obviously means “Meditation”. It’s basically the same as when reading the Word. It doesn’t mean, however, that we should dissect and analyze Jesus. Seriously, don’t. You don’t go philosophizing or theologizing when you’re meditating. Instead, let the Holy Spirit guide your mind and heart. Let it go and rest under His wings. Try not to sleep though. LOL. Meditation means to ponder upon the Word: to read the passage slowly and savor its every “flavor”. Say, for example, while reading John 5, the Holy Spirit gives you the words, “Do you want to be healed?”. Ponder that. In some cases, He reminds you that there were many sick people on that portico that day and, of them, He found you in your affliction, lying on a mat with no other friends to help you. Or, He may be asking you, in your heart, whether you want Him to heal you. During this prayer, you encounter Christ who “stands in the midst of those who seek Him” (John 1:26). Don’t be frustrated if you don’t seem to be inspired. If you don’t get an inspiration for the day, thank Him nonetheless. One can make more progress in this step of the ladder with another’s help. In religious communities, Lectio Divina is practiced with the guidance of a spiritual director or Confessor. And it’s much encouraged that you ask questions and share insights or doubts with your priest especially if you intend to do this privately. Of course, one does not fully enjoy company with a loved one without a fruitful conversation. This is Oratio: Prayer. In this step, you can tell Him everything as you would your Father, Brother, or Spouse. Try to ponder again what you have read, and His answers become more clearer. You don’t need to sit still and pray all day. One can repeat the steps throughout the day. Be sure to set ample time for Him in silence, but it’s much better if you set at least thirty minutes or an hour for Him as much as you can. You would be suprised at the fruits of your conversation. Just remember to let Jesus, through the Holy Spirit, take the lead. Last, but not least, the final step is Contemplatio or “Contemplation”. This prayer is what God calls Man to achieve and which many contemplative saints have aspired and earnestly strived for over the centuries. With His Grace, the devout practice of Lectio, Meditatio, and Oratio help us to gradually gain not only a knowledge of the Lord, but also of our selves and our own poverty. Aided with the help of spiritual directors and the faithful reception of the Sacraments, God leads us into Contemplatio where He desires to be in union with us. Don’t be discouraged, though, if you feel rather unworthy. Don’t be impatient either or give in to pride as to expect instantaneous fruits for “your” labors. To pray requires us to be humbly resigned to God, to love Him, and to allow ourselves to be loved by Him. How wonderful is that? That we, mere creatures, are loved by God? !